The quantity of locations (how many are you looking to buy) or amount of time you want to book the space. As you’ll see, the ranges are broad and the price within that range will largely depend on the factors we will cover below. Similar to real estate prices, the cost of billboards is largely based on geography and location. Typically billboards in suburban or rural areas (where populations are less dense and less people will see the billboard) are lower cost, and even large highway billboards might cost only a few hundred dollars per month. 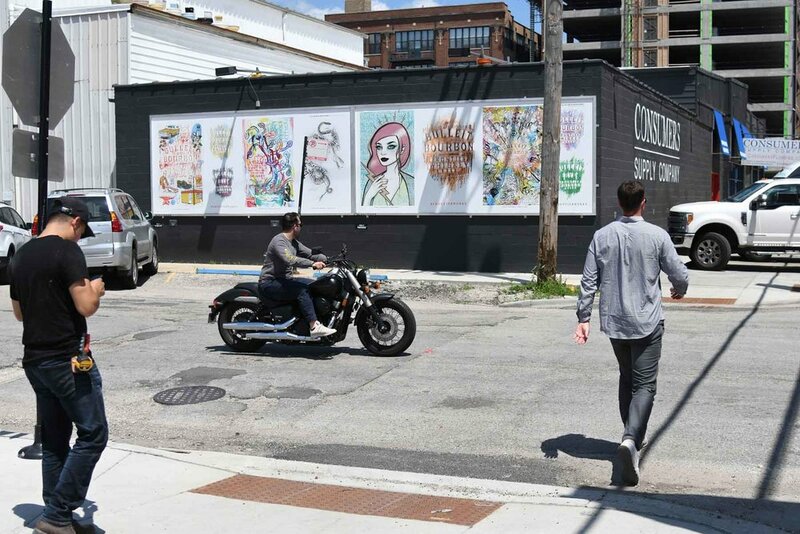 The cost to rent a billboard in major metropolitan areas, like Chicago, rises based on increased impressions (the number of people that see the billboard) and advertisers desire to have a presence certain downtown neighborhoods. As it is with many products you buy, you expect a discount when you’re buying a higher quantity. Most times, negotiating a package-deal gets the price per board down significantly. Similarly, if you are looking to advertise for a longer term (a higher quantity of time ), this can bring the price down. Committing to a sign for a year allows advertisers to negotiate a much better monthly rate than if they only wanted one or two months. If you’re looking for a deal, be ready to start as soon as possible. It might not seem like it, but to billboard companies, space on a billboard is a perishable good. If they don’t rent a billboard this month, that “inventory” expires. It cannot be recovered. So if you want to start next summer, there’s less incentive to book it because it’s likely to be booked by another advertiser at full rate. But if you want to start tomorrow… let’s make a deal! It’s important to note here that any sort of advertising can be a significant expenditure. It’s also important to note that relative to all other types of mass marketing, billboards are the most cost effective. Furthermore, they also rank highest in advertising mathematics, which is Reach (how many people) + Frequency (how often). So, that formula proves that billboards are a worthy investment on their own or as a complement to an existing marketing strategy. In fact your existing marketing strategy might not be enough. With any advertising, but with billboards particular, the single most important thing to this conversation is doing it right. Even the best deal on a billboard is a loss if it’s not done well. BUT IF YOU SELECT LOCATIONS THAT ACCURATELY TARGET YOUR CUSTOMER WITH EXCELLENT CREATIVE DESIGN, BILLBOARD ADVERTISING (EVEN ON A LIMITED BUDGET) CAN YIELD GREAT RETURNS. If you’re interested in more information on pricing for specific billboard locations or just looking for help navigating the advertising landscape, click the link below... we're here to help.